Amir Khan has singled out Manny Pacquiao as his No 1 target after returning to the welterweight division with a win. 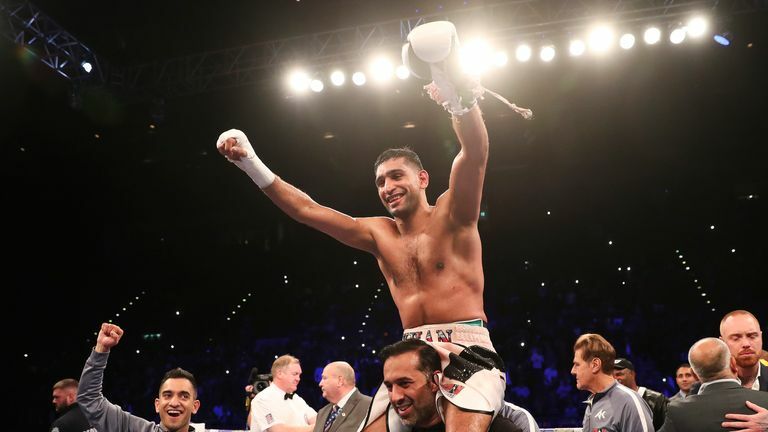 Khan climbed off the floor to beat Samuel Vargas on a unanimous points decision and with 12 rounds under his belt, immediately set his sights on a big name before the end of the year. Rival Kell Brook was ringside and says he will get back down to 147lbs for an all-British battle, but the Bolton star has set his sights firmly on Pacquiao next. "Bring on Manny Pacquiao," Khan told Sky Sports. "He is an amazing, amazing boxer, so who wants to see Manny Pacquiao? Who wants to see the Kell Brook fight? "I want the biggest fights and that's where I belong. Me and Eddie [Hearn] are going to sit down. "There is a massive demand for it but the only fight that works for me over Kell Brook is Manny Pacquiao. Manny Pacquiao is who I want. I want Manny Pacquiao. "Manny Pacquiao is my No 1 pick. If not, we will go back to the drawing board and if it's Kell Brook, it's Kell Brook." Khan was back at 147lbs for the first time in three years and put Vargas down twice before going the championship distance and getting the 119-108, 119-108, 118-110 decision. 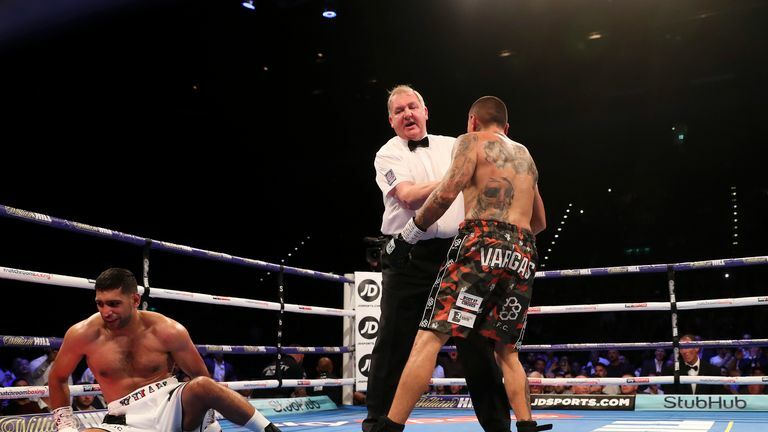 The 31-year-old was put down in the second round and admitted he will be punished if he goes in against better opposition, but insists the fight was the perfect platform to put him right back in the big time. "There was a couple of times I could've finished it but stepped off [Vargas]," he said. "I wanted to pick my shots but he kept coming so I didn't have to look for him. There were times in the fight when I could have pushed on him and probably knocked him out. "But the thing is, I need the rounds if I want to move up and fight better opposition like Manny Pacquiao and Kell Brook. I have to go the 12 rounds and get experience in the ring. "He caught me with a right overhand, right on the button. It was more of a flash knockdown. I got up and went again, I was fine. "I want to fight before the end of the year so this was a great warm-up fight for me."